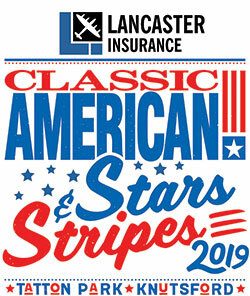 Lancaster Insurance is thrilled to be the headline sponsor of The Classic American Stars & Stripes, The Classic & Performance Car Spectacular and The Passion for Power shows at Tatton Park. As a leading specialist in classic car insurance, Lancaster is committed to providing enthusiasts with excellent service and finding the right policy for them at its best price. Lancaster is able to offer insurance for a wide range of marques and models, including American classics and supercars, and is also able to arrange benefits such as up to 25% off for club members and an agreed value option. Lancaster can also arrange policies for your everyday car, if your classic is insured with them, as well as offering a multi-vehicle option. Aside from just arranging insurance, Lancaster live and breathe classics. From sponsoring race drivers in Club Championships to sponsoring a number of events, Lancaster are passionate about supporting the classic car community. To make sure you don’t miss out on any of their latest news or general classic car chat, like them on Facebook, follow them on Twitter, and Instagram, or visit the Lancaster Insurance website here!